Sometimes you message, but to share private information (password, credit card details or bank account information ) with a family member, friend or colleague. It is possible to simply send the personal information via email or a chat message to the recipient. However, there is a risk that they might forget to delete the message and your private information may still remain in their inbox or computer. This means that a malicious user, who manages to illegally access the recipient's computer or account in the future, could potentially access your private information and misuse it.Wouldn't it be fantastic to be able to share your private message with the recipient via a self-destructive message which automatically gets deleted once it has been read? 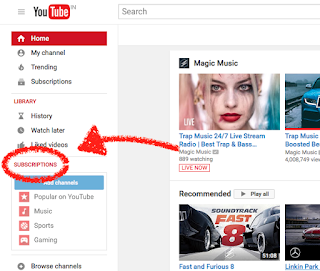 This is where a very useful website known as Burn Note (www.burnnote.com) come into the picture. 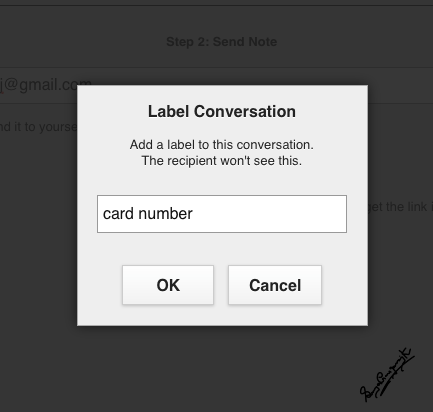 It allows a user to send a message to some else in such a manner that the message will be automatically deleted immediately or after a predefined number of second after it has been read.This ensure that your message remains truly private and cannot be accessed by anyone after it has been conveyed to the intended recipient. In this example, let us assume that a family member needs your credit card number for an urgent purchase and you wish to share in the form of a self-destructing message. 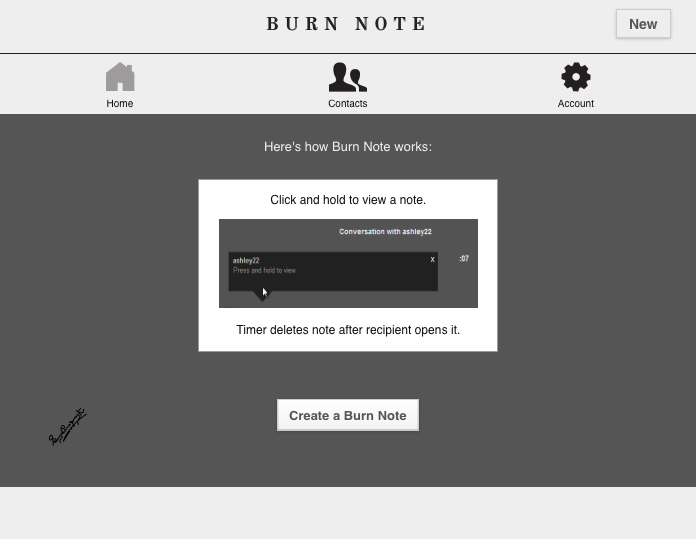 All you need to do simply start your browser and connect to www.burnnote.com and type the private message of your choice in the space provided. For added security, it is not only possible to prevent the recipient from being able to copy your private message, but also to put a password on the self-destructing message. This give you double protection against unauthorised access to your private information. 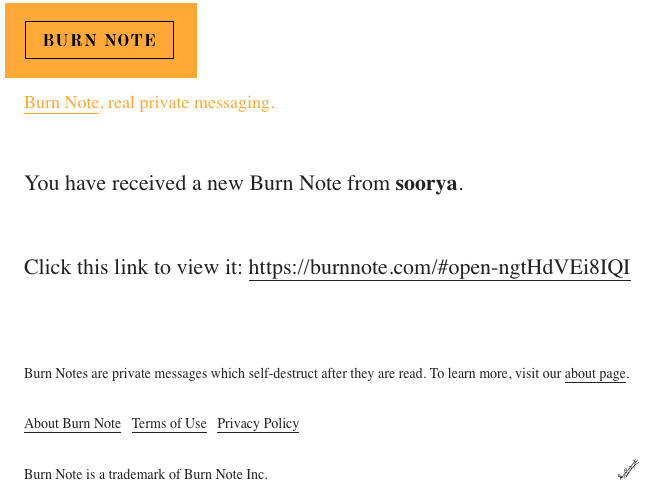 Moreover Burn Note also allow you too specify the number of second after which the private message will automatically self-destruct.